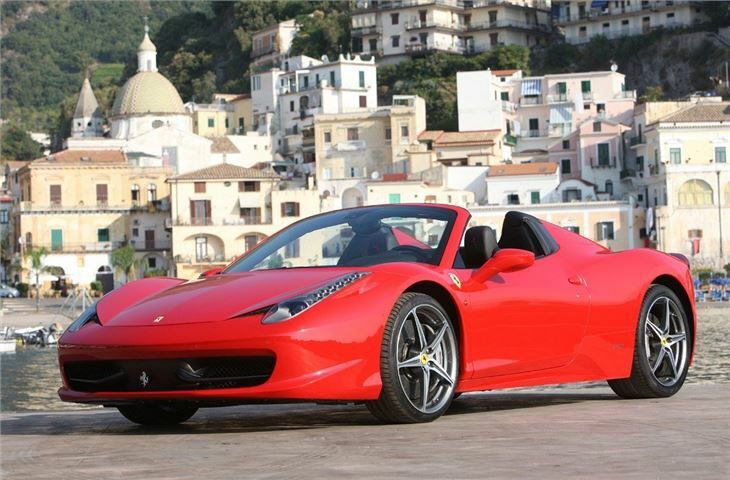 Great looking drop top version of the 458 Italia. 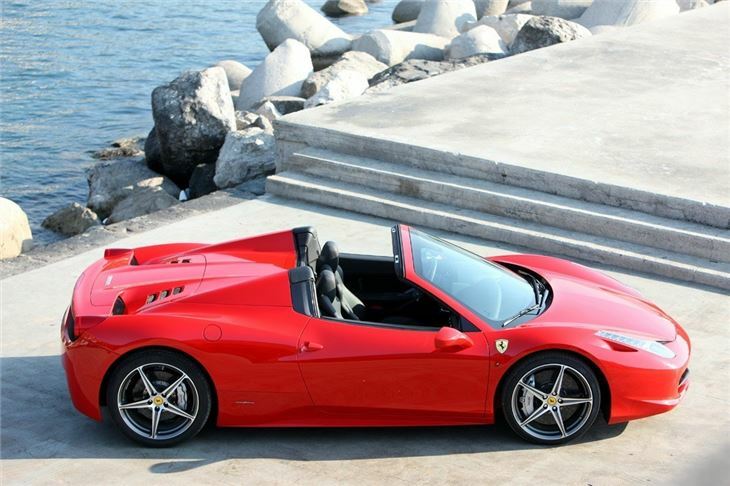 Folding hard top roof. 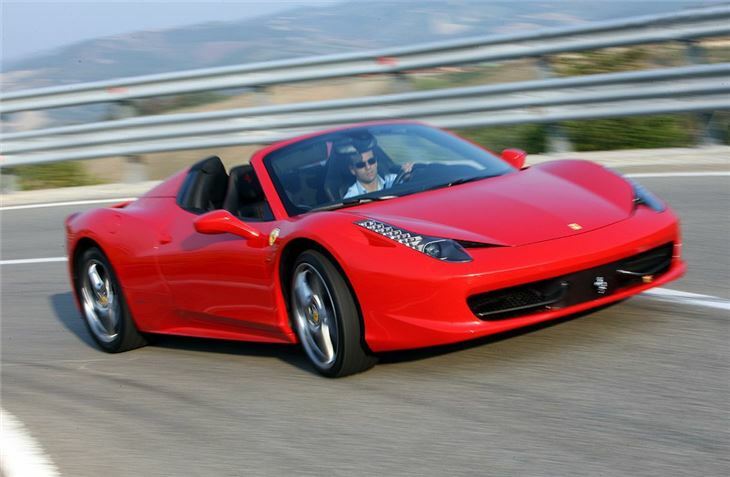 Lovely V8 engine sound. 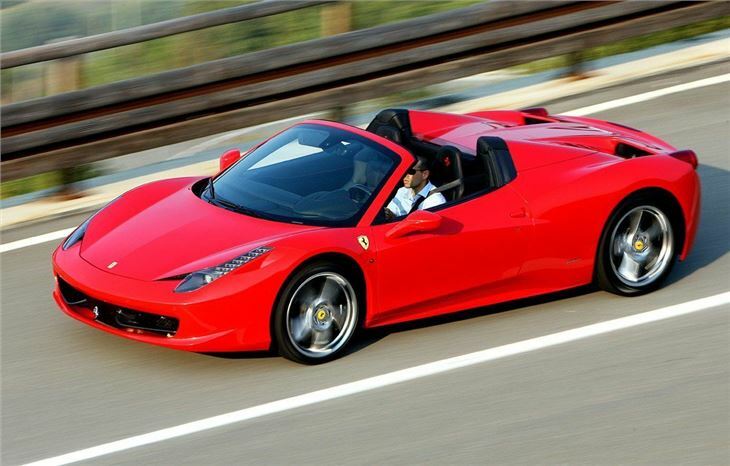 Ferrari showed a Spider version of its fantastic looking 458 Italia at the 2011 Frankfurt motor show. 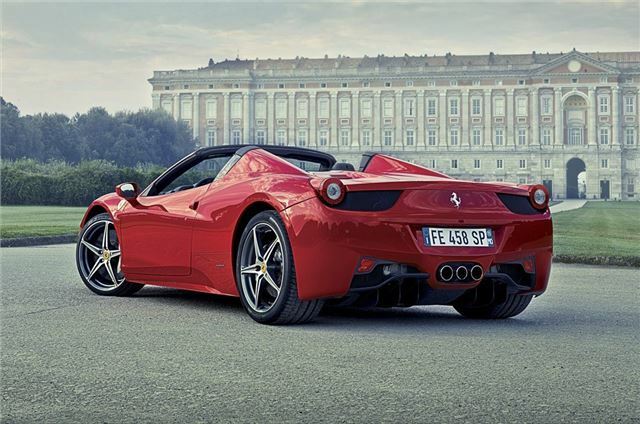 The 458 Spider features a folding hard top – the first mid-rear engine car of its type with such a design. 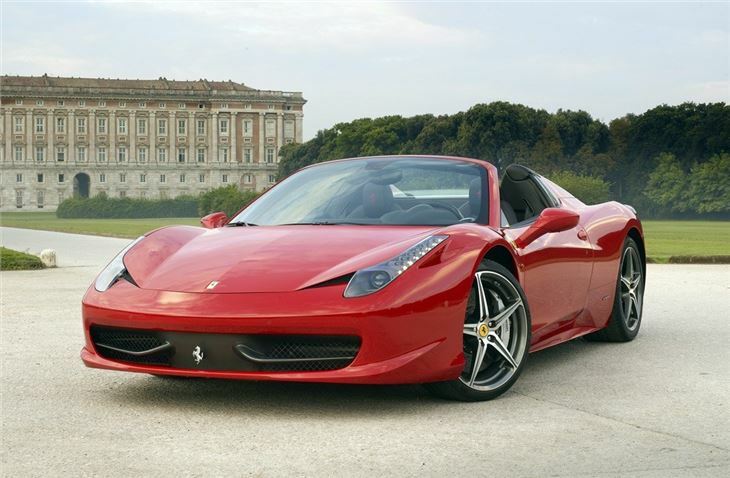 Power still comes from the award winning 4.5-litre V8 engine, and the gearbox, a dual-clutch paddle shift system, remains the same.Top speed is around 200mph, and 0-62mph takes just 3.4 seconds. 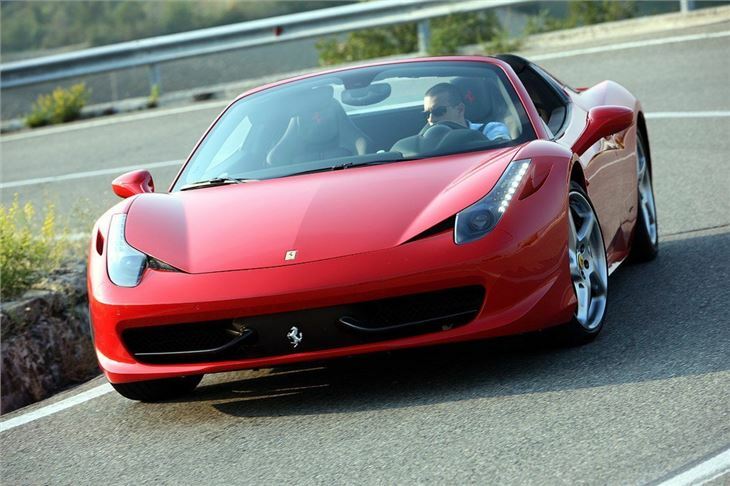 The exhaust note has been tuned so the occupants can enjoy it more when the roof is down.